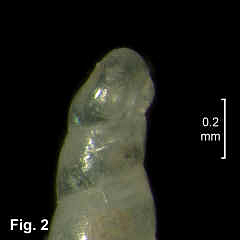 Description: Shell small, very elongate and slender, up to 8 whorls. Protoconch (Type B) coiled, of 1¾ whorls, set on teleoconch with axis inclined at about 110° to teleoconch axis. Teleoconch whorls slightly convex, smooth, without axial or spiral sculpture apart from irregular axial growth lines. Suture moderately indented. 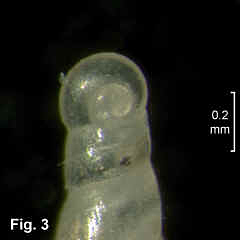 Aperture teardrop-shaped, columella without plaits. Shell colourless transparent becoming opaque white with age. Distribution: In Australia, known from Darwin, NT, Torres Strait, Qld, and NSW. 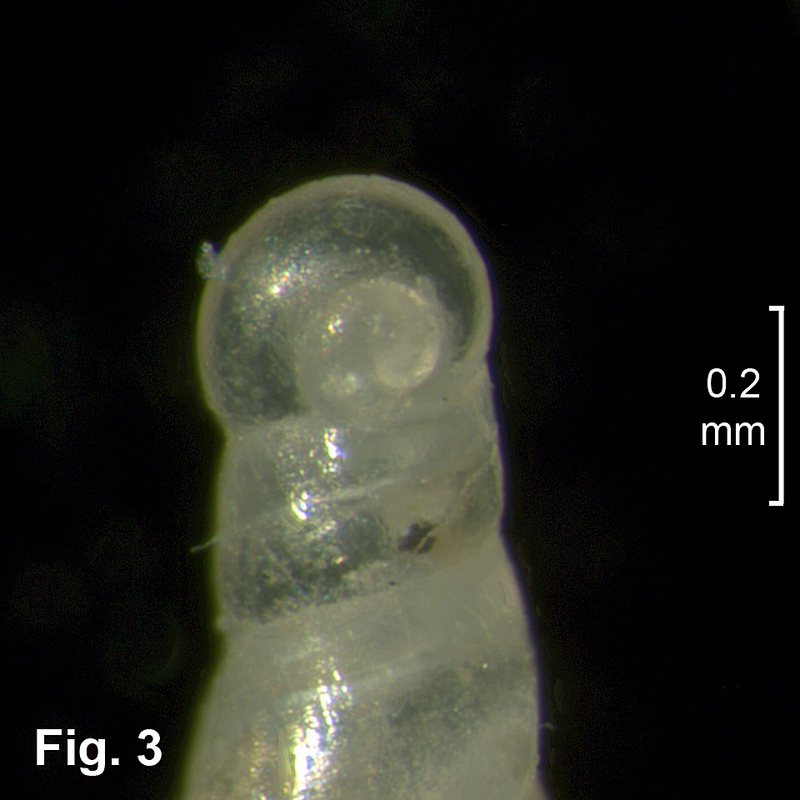 Given the widespread occurrence in Australia it probably also occurs in tropical waters to the north of Australia, or more than one species is involved..
Habitat: Intertidal and subtidal, down to 145 m. Very uncommon. 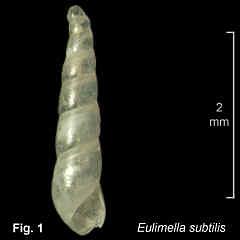 Comparison: This is very similar to Eulimella hasta, but differs in size and distribution. 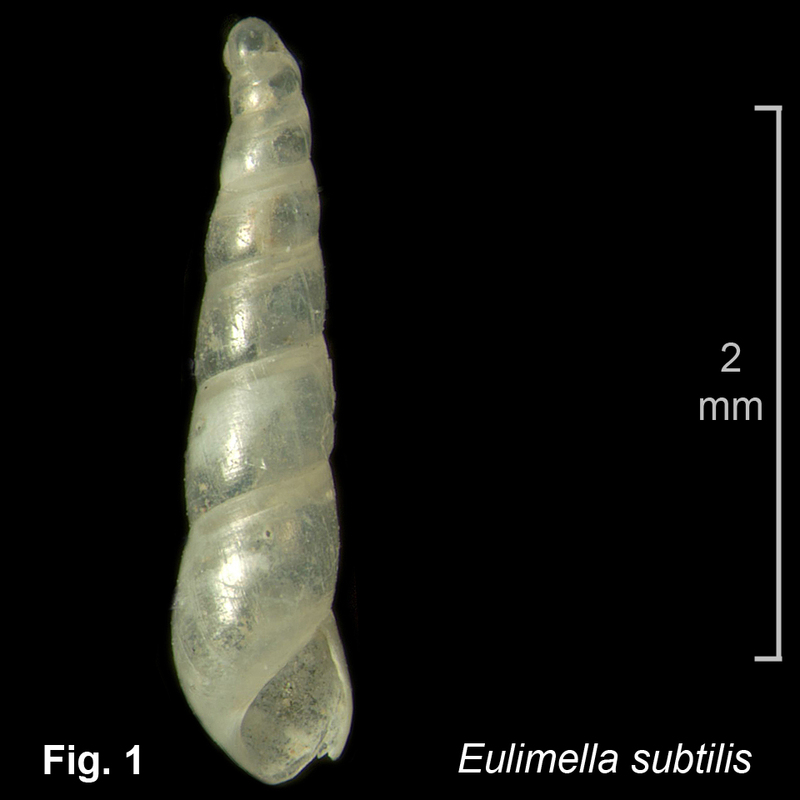 E. hasta has the suture more indented and has more straight-sided whorls.